February 9, 2009 - Quadros Systems has announced it will introduce a new System Trace tool during Embedded World 2009. 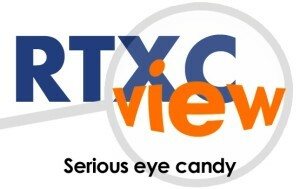 The RTXCview™ Trace Tool, designed to work with the RTXC Quadros real-time operating system, provides detailed visualization and analysis of the runtime behavior of an embedded system. Its innovative features and intuitive interfaces give developers new insight into the inner workings of their system making complex behaviors easier to understand and troubleshoot. Long traces with many tasks can be difficult to display for many competitive trace tools. RTXCview presents this complex data in an easy-to-read display and includes the capability to select a task instance, including all related fragments of the task from release to finish, and display execution time, response time, fragmentation, priority, etc. RTXCview is a complement to traditional debuggers, focusing on behavior in-the-large, such as event timing, communication and scheduling, as well a performance issues such as response time and CPU usage. The tool will be demonstrated at stand 431 in Hall 11.